7Launcher — is a game-client, created for comfort while installing and updating the CS:S, also for the opportunity of control your own special game-settings. Our dream – is to create the most functional, simple and usefull program. By downloading the program, you agree to the terms of the License agreement. Always provides you the latest topical version of the game to install. Interface is localized and adapted for different languages supported by game. 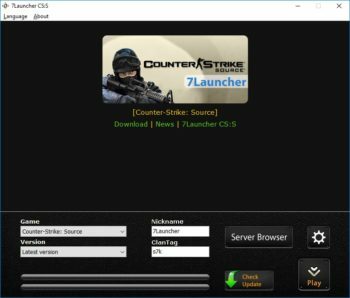 Counter-Strike Source – an online game with a delightful multiplayer, which became a legend among the games of the genre “Shooter”. 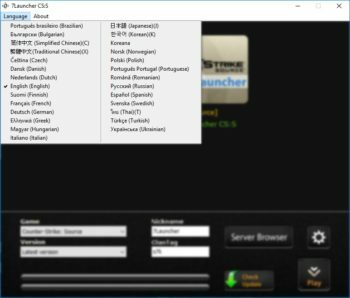 Nowadays, only a few people haven’t played and certainly haven’t heard about the game cs source. This is the middle ground between the classic CS 1.6 and the popular CS GO. You won’t find anywhere else in the world more pleasant group of players than in the Source version. Here no one is chasing after skins and stickers; here players simply enjoy the process and excited without the frills of the new version. Initially, the game Counter-Strike was developed as an addition to the legendary game “Half-Life”. However, it was the cs who gained immense popularity among the gamers, thus replacing the Half-Life. The game is based on the Source engine, which is part of the CS Source title. Valve improved graphics and added more detailed textures, for example, barrels and bottles that you can shoot in. So players no longer feel them in a cardboard box. This interaction will lead to the fact that the bottle is broken, and the barrel is moved. Of course, the physics of the game changed too, which at first was not accepted by everyone, but after playing a little, it wasn’t difficult to get used to it. After the download phase, you get a lot of fun and comfort during the gameplay. The goal of the developers was to implement all their thoughts and ideas that weren’t implemented in the counter strike 1.6. 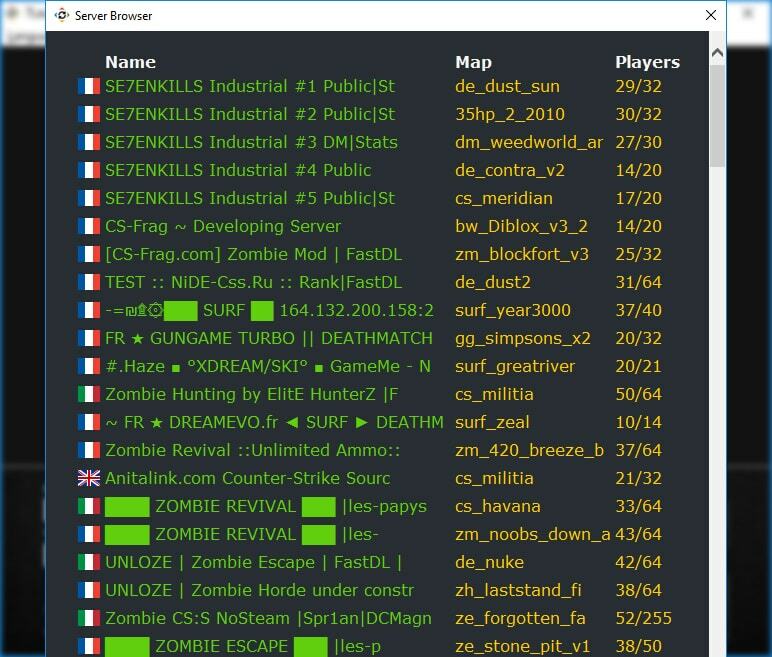 The new engine allowed the game to reach a new level and provided server owners with 64 slots for players, instead of maximum 32. However, the new version was also a problem for those who didn’t want to update. Therefore, to solve this situation, patch v34 was released. In 7Launcher you can download CS Source v34 or v90 and choose which one you like the most. You can download CSS directly. 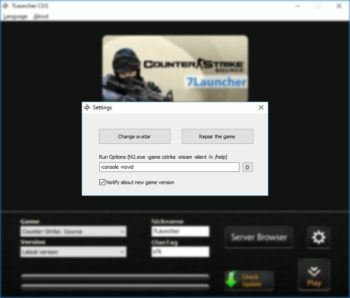 To the huge disappointment of the Counter-Strike Source fans, the game couldn’t compete with Counter-Strike 1.6 competitively. The Source was already released but the attention of the players was riveted only to version 1.6, which, at that time, was popular all over the world. A huge number of tournaments were held, where cyber-sports teams fought. Many tried to achieve success, fame and, of course, money. Prize funds amounted to tens of thousands of US dollars. That’s why only small number of the investors were interested in the novelty of the Source. No one had good reasons to leave an already proven shooter, which brings a huge income and to investing in CS Source. An unfortunate misunderstanding or a simple coincidence, but the game definitely deserved to become a new world shooter. 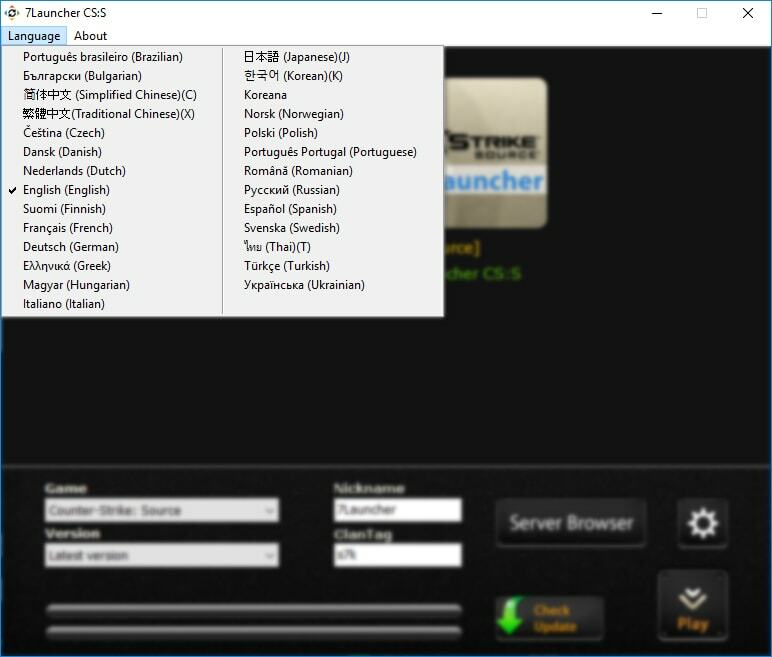 CSS didn’t achieve such success, but it became the ancestor of CS Global Offensive, a game that is now gaining momentum. Many critics believe its popularity is fleeting, and such excitement is only temporary. But can it really outperform Counter-Strike 1.6? Only time will show. 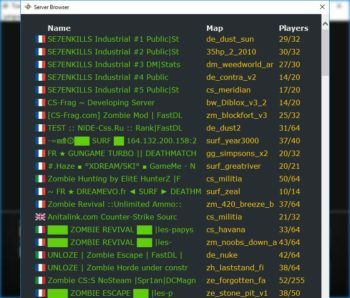 Today, all the games have their own audience of players, who get together every night in their own servers and still continue to enjoy, despite the new sensational CS:GO. 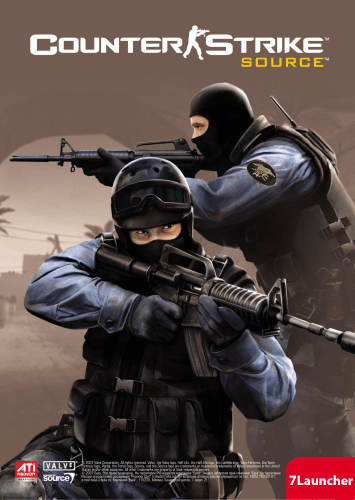 Perhaps Counter-Strike Source will become your favorite among the series of these games. You can play with bots and on servers.